Once you’ve booked your vacation destination and accommodation you cross your fingers and hope you’ve made the right choice, am I right? After hours of comparing hotels, reading and scrolling through countless guest reviews and clicking through numerous resort pictures it’s time to make a decision! Unless you’ve been there before or know someone who has it is not always so easy. I don’t know about you, but I am quite the visual person and to me a picture really does speak 1,000 words. I find that in addition to consumer reviews it is the pictures at the end of the day that ultimately persuades me to click that ever so tempting “Book Now” button. I mean if a hotel looks perfect in pictures it must be perfect in real-life, right? Unfortunately not all hotels and resorts live up to this motto – that would be too easy! 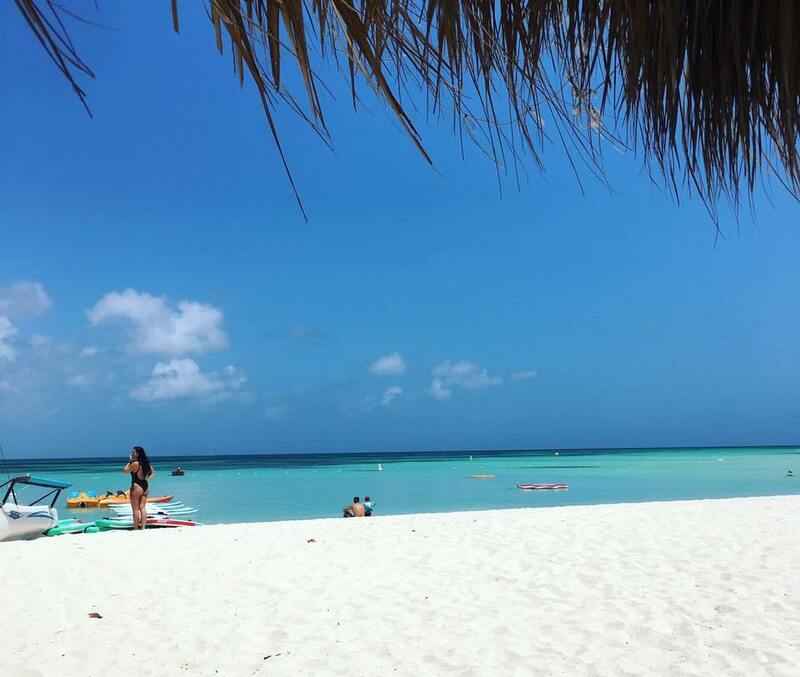 But, there is this one place…you may have heard the name by now, as it has recently been creating quite the stir in the world of Caribbean hotels, awarded second place for the 2016 Readers Choice Award of Best Boutique Hotels in the Caribbean and a recipient of the 2017 Experts’ Choice Award from TripExpert, Boardwalk Small Hotel Aruba has been making an ironically BIG name for themselves. Despite the secret being out, Boardwalk has kept their authenticity, charm and appeal. 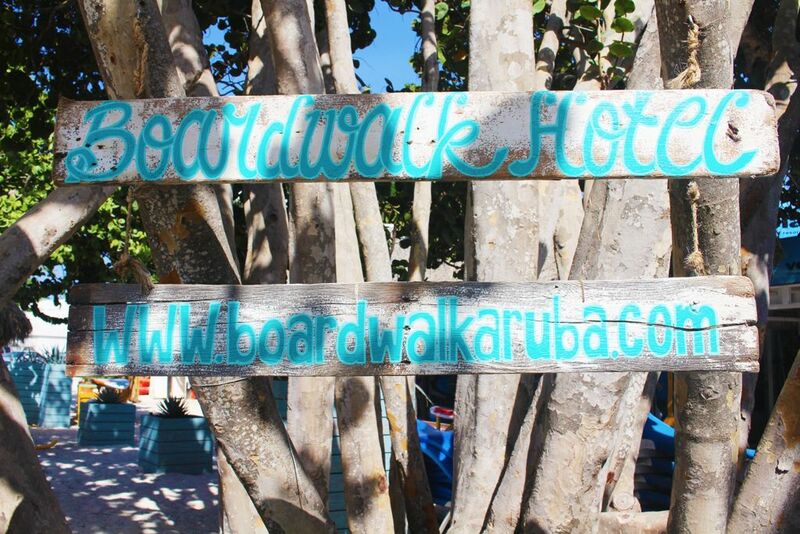 I am here to tell you (and with great confidence) that Boardwalk Small Hotel Aruba lives up to its reviews, ratings AND yes, you’ve guessed it…pictures! 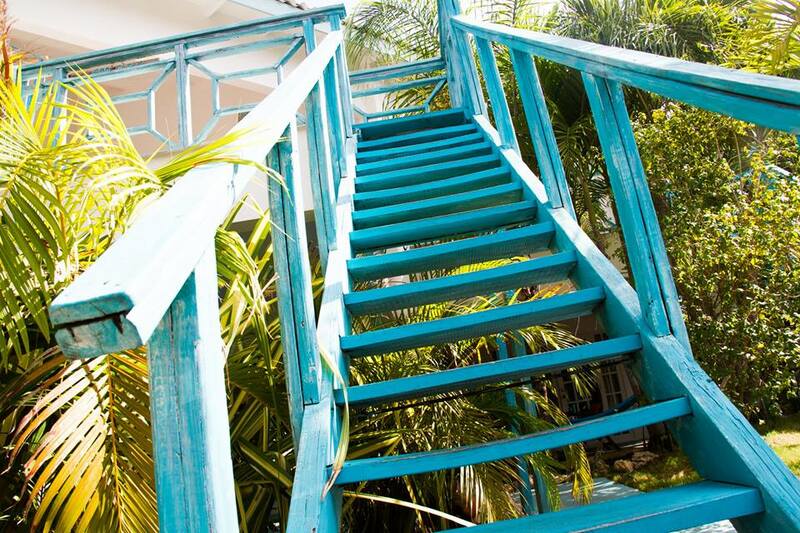 After I saw Boardwalk’s pictures for the very first time I was mesmerized by the bright, vibrant tropical colors, lush gardens, charming casitas, and the cozy and intimate atmosphere. I knew from that very moment that somehow, some way I just had to experience this for myself! When owners (and twin sisters) Kimberly and Stephanie extended a gracious invitation to my colleague and I to spend the evening and following day at Boardwalk to experience the hotel first-hand… we immediately dropped all of our weekend plans and started packing our bags! We were eager to say the least. From the moment we checked in to when we checked out, Boardwalk’s team made us feel extremely welcome and comfortable, they truly go above and beyond to make each and every guest feel special and enjoy their stay. They did not make it feel like a typical vacation stay, they made it feel like HOME (a home that I would very much like to make mine on a daily basis that is). Located on a former coconut plantation, every square inch of the property (both interior and outdoors) is charming, authentic, vibrant, cozy and intimate…it is pure paradise! The property is comprised of 14 unique, spread out casitas (a cute name for small house) with private patios including your own hammock and grill, fully equipped modern kitchens, spacious living room, a more than big enough bathroom and bedrooms with uber heavenly, plush beds that you will never want to leave (the struggle is real). 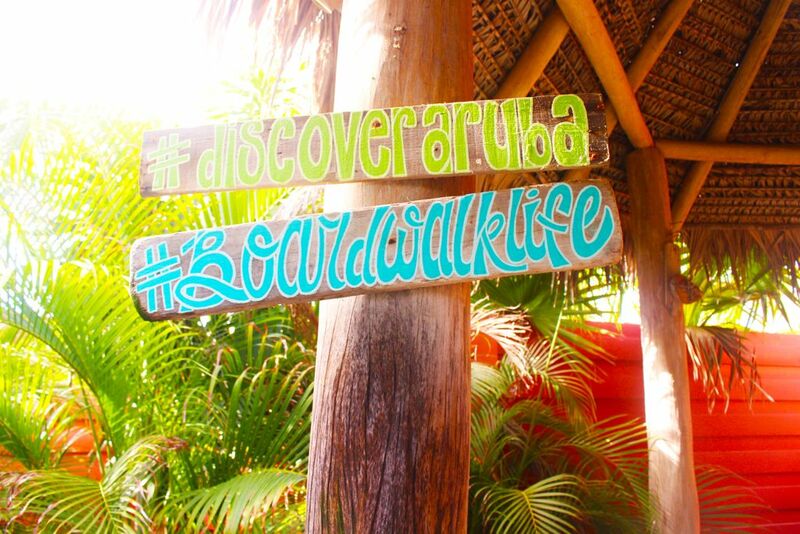 Each casita is decorated to tropical perfection with unique accents thanks to local artists of Aruba, giving it that extra special touch! 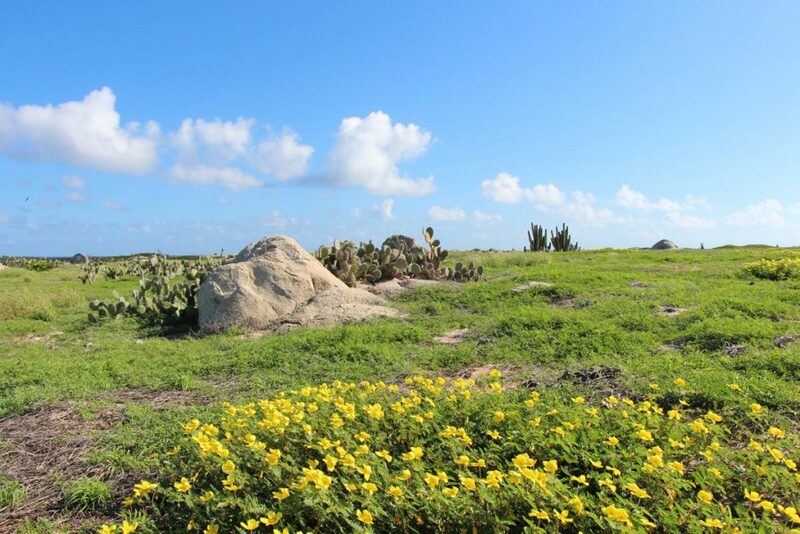 Photo courtesy of Boardwalk Hotel Aruba. 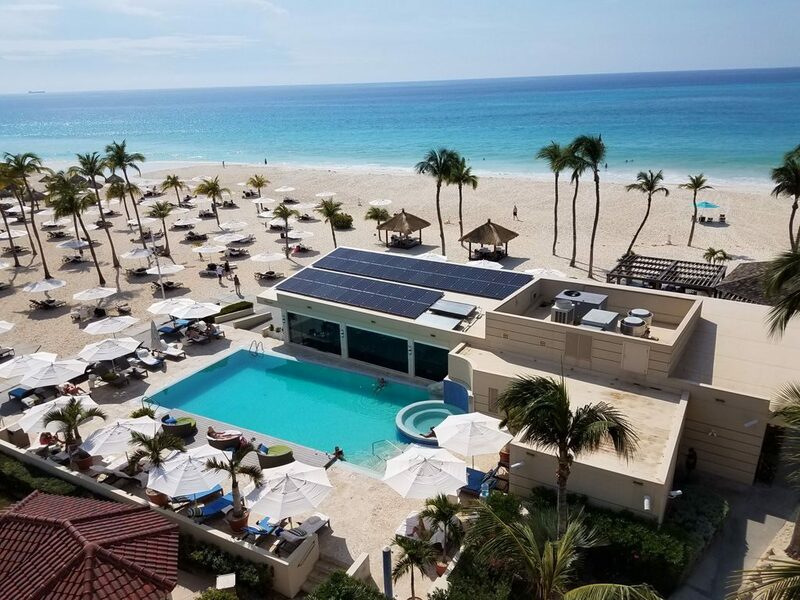 Staying at Boardwalk you will find utmost comfort of being in your own “home” yet with their amenities and services you will still have that true vacation feel that you came for. 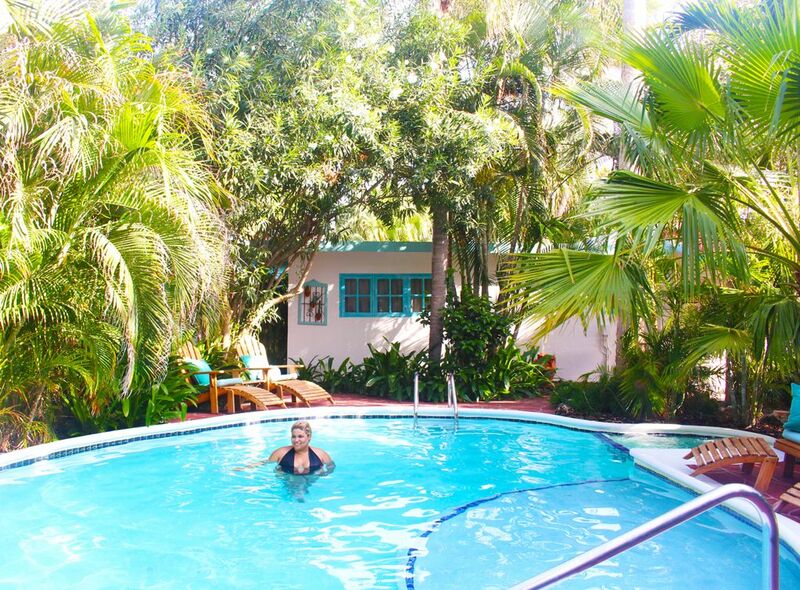 The privacy and boutique style of the property makes for such a relaxing and tranquil escape from everyday life, you will never want to leave, trust me! Daniela taking a nice little refreshing dip in the pool! 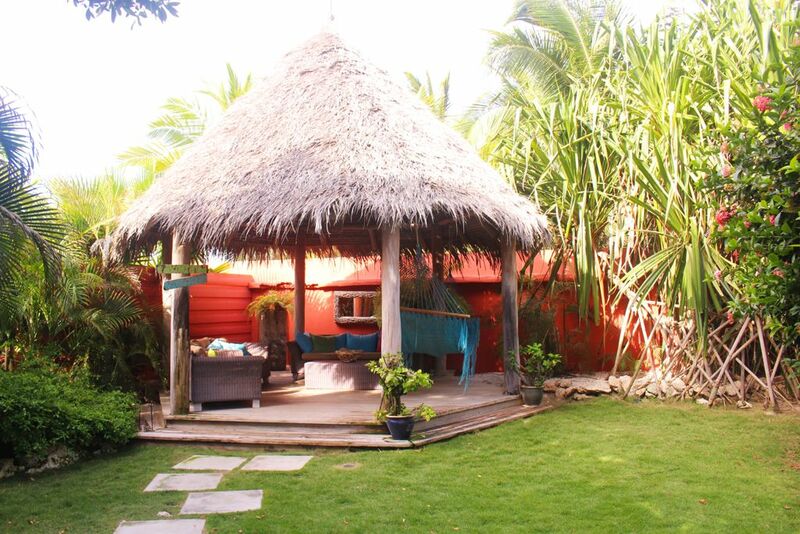 When we first laid eyes on our casita we fell in love immediately. As we took the stairway to our new little home in paradise we couldn’t help but first notice our spacious, private balcony. 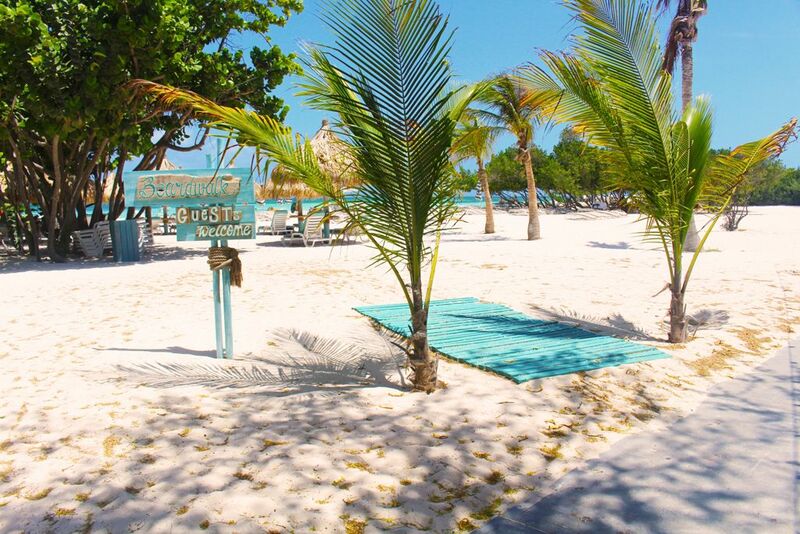 We spent most of our time there, relaxing, swaying in our hammock, enjoying our peaceful and beautiful surroundings. Also enjoyed, were our plentiful tapas and wine, which we picked up from the supermarket (just a 5-minute drive down the road), completing our girls night in! 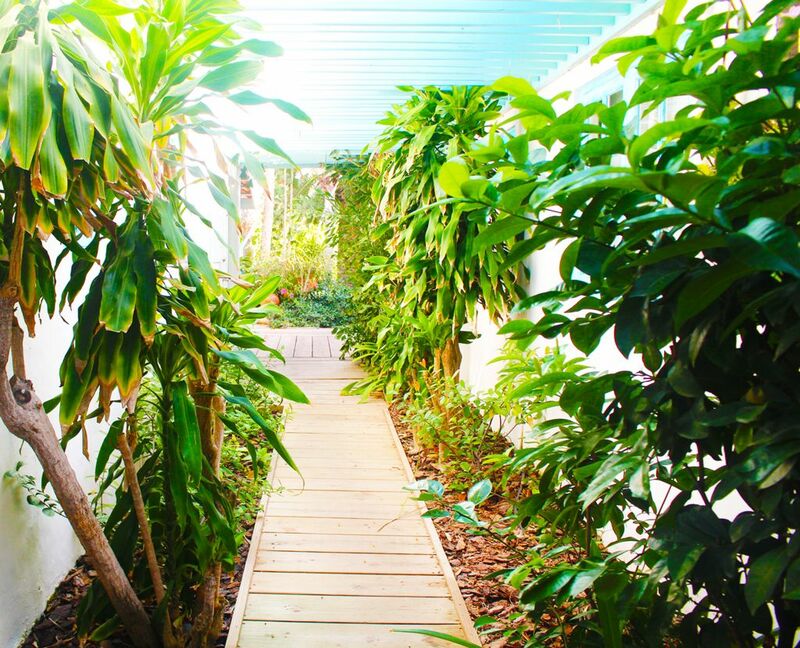 The inside of our casita was super inviting with tropical hues and a clean, modern look. 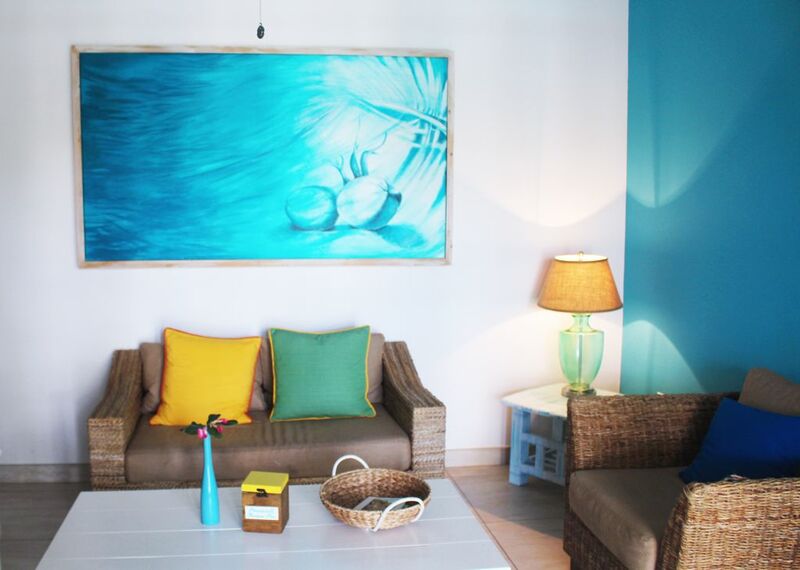 Every room is spacious and has unique accents and art reflecting a true island boutique feel. Everything you could possibly need on a day to day basis is included. I am still impressed with the size of the kitchen and living room area, perfect for cooking and relaxing. Another impressive factor of our casita was their electricity control system. This system automatically shuts off air conditioning units when windows and doors are left open for longer than one minute. Also, there is a master switch that allows all electricity of a casita to be switched off at one central point. No more forgetting to turn off every single light and leaving windows open by accident while the AC is still running! A fun inclusion of the room was a treasure box. On our living room table we found a cute colored box labeled “Adventure Box” and inside were a stack of cards with fun things to do and experience around the island. 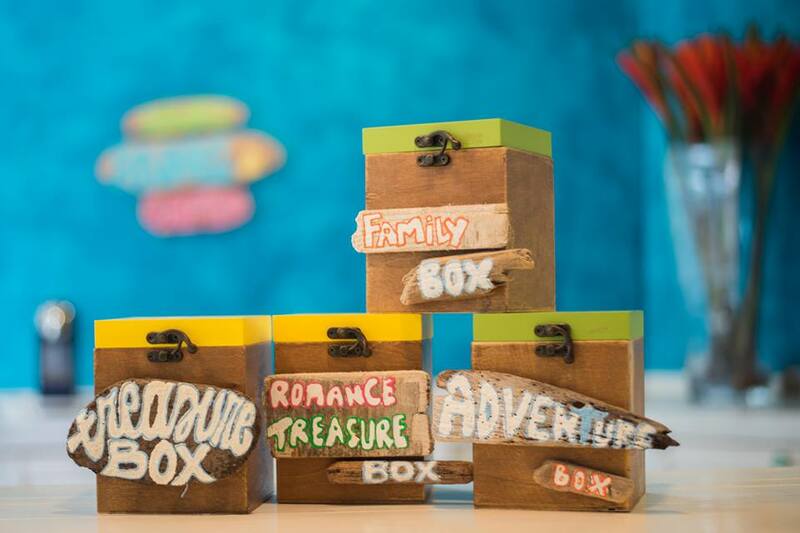 Each room has a different themed box: Treasure Box, Romance Treasure Box, Adventure Box or Family Box. Owners Kimberly and Stephanie came up with this fun idea to share an inside, local scoop with guests! 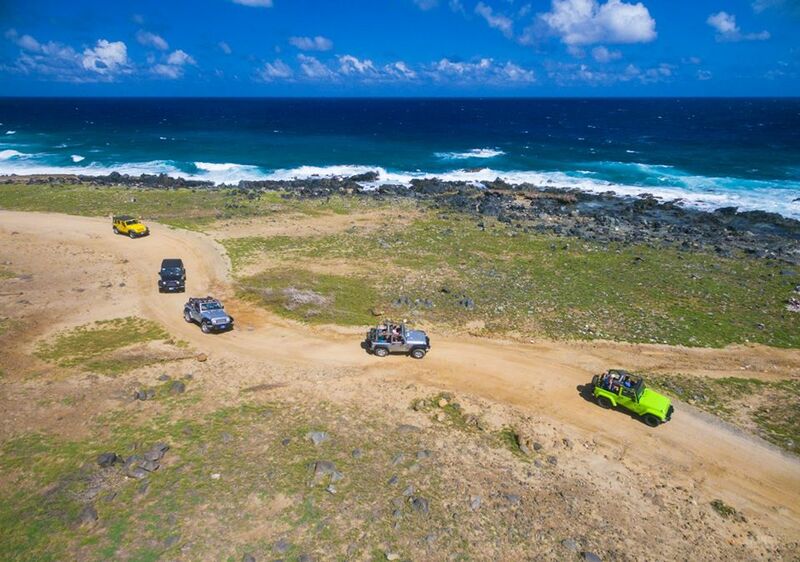 Stay tuned for our upcoming blog where we go on some of these suggested adventures and share our experience with you! While strolling around and roaming the property to check out the secluded pool area, hammocks and lounge chairs found in all sorts of nooks and crannies, we were greeted by several friendly guests along the way. As we continued we met a lovely young couple and shared conversation and a drink (or two) on their patio. Completely impromptu and extremely enjoyable, that just shows the friendliness and sense of community that can be hard to find at the larger resorts and hotels. Just another perk of this little tropical oasis! The next morning we kick started our day with breakfast (something had to get us out of bed), served on our patio, it was so lovely! They have several selections, depending on your preference you can choose to keep it healthy, go for the local style or even something more on the romantic side; they are all a refreshing and a healthy choice! 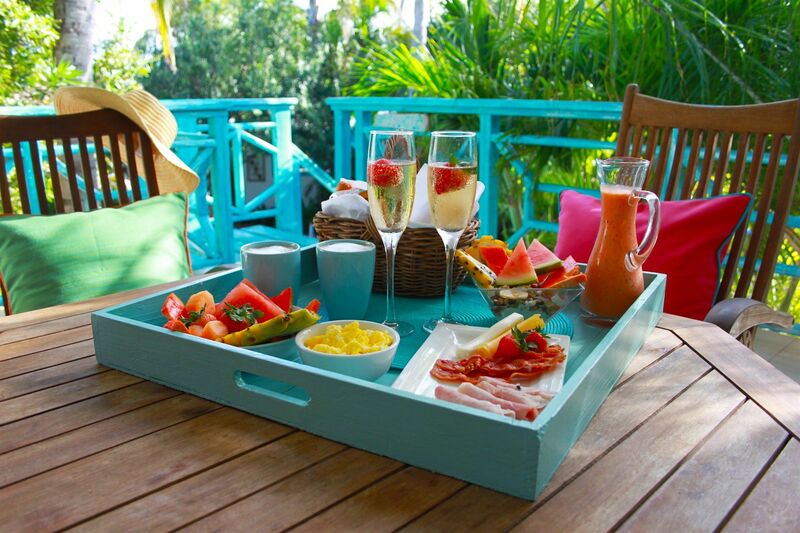 The presentation of the breakfast was so beautiful that you could just taste the love and effort they put into it. The fresh “batido” (fruit smoothie) was my favorite and…so good! After a satisfying meal we then grabbed our beach towels, packed our cooler (which is provided by Boardwalk) and headed to the beach (my all time favorite activity). 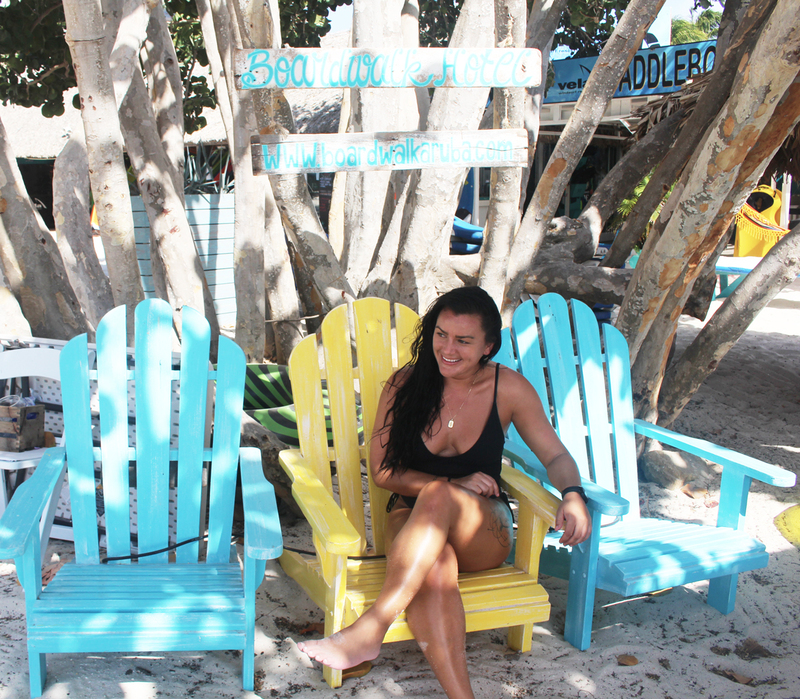 Located across the street and just a 3-4 minute walk is Boardwalk’s new beach area. We finished our stay with a dip in the pool and said our goodbyes or more so “see you soon”. We will be back Boardwalk, thank you for this amazing and one of a kind experience!